When misfire occurs, performance suffers along with fuel economy, emissions and idle quality and when a misfiring vehicle is subjected to an emissions test, it will usually fail because of the unusually high levels of hydrocarbons (GC) in the exhaust. What exactly causes a cylinder to misfire? Basically it’s one of three things: loss of spark which is when the air/fuel mixture is too far out of balance to ignite or there’s a loss of compression. Loss of spark includes anything that prevents coil voltage from jumping the electrode gap at the end of the spark plug. Causes include worn, fouled or damaged spark plugs, bad spark plug wires or even a cracked distributor cap. A weak coil or excessive rotor gas inside a distributor would affect all cylinders, not just a single cylinder. Lean misfire can occur when the air/fuel mixture is too lean (basically when there’s not enough fuel in the mixture) to burn. This can be caused by a dirty, clogged or inoperative fuel injector, this is where air leaks, or low fuel pressure because of a weak pump, restricted filter or leaky pressure regulator. Low fuel pressure would affect all cylinders rather than an individual cylinder, as would most air leaks. A leaky EGR valve can also have the same effect as an air leak. In fact, if a vehicle has one or more misfire codes and a P0401 EGR code, the fault is likely carbon build-up under the EGR valve. Loss of compression means that the cylinder will lose most of its air/fuel mixture before it can be ignited. The most likely causes for this are a leaky (burned) exhaust valve or a blown head gasket. If two adjacent cylinders are misfiring, it’s likely the head gasket between them has failed. Also if an engine is overheating or losing coolant, it’s most likely that the head gasket is the culprit here. Intermittent misfires are the worst kind to diagnose because the misfire comes and goes depending on engine load or operating conditions. They seem to occur for no apparent reason. The engine may only misfire and run rough when cold but then smooth as it warms up. Or it may start and idle fine but then misfire or hesitate when it comes under load. Also it may run fine most of the time but suddenly misfires or cuts out for no apparent reason. If your engine is having similar problems the ones above, you may need to think about getting the engine serviced/repaired. Doing it earlier is much better than leaving it for the problem to worsen. 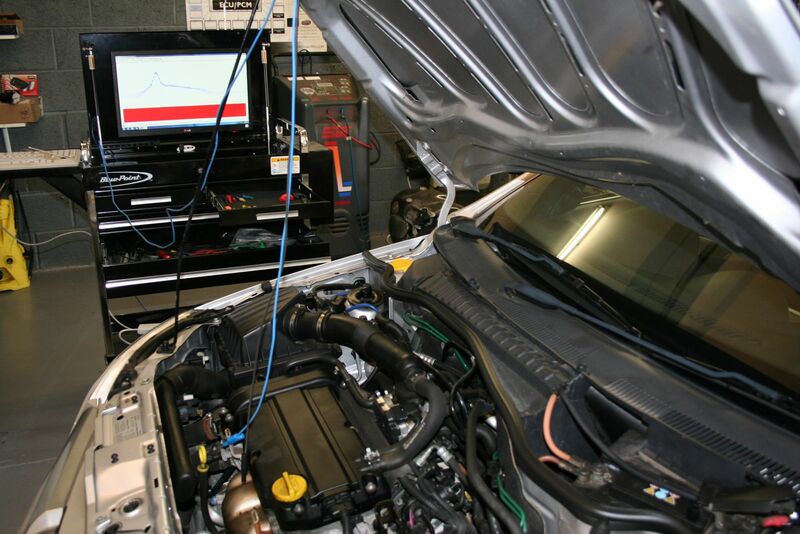 You may be pleased to know that here at Widnes Autoelectrics we have the know-how, the tools and the experience to get your vehicle up and running again. Our friendly, professionally trained and professionally equipped mechanics will be able to help you with almost any problem. To find out what we can do for you, or you’d like a free quote or even to book an appointment with us, then please don’t hesitate to get into contact with us, you can do this by clicking here.